This study investigated prescriptions for sedative–hypnotics via data obtained from the Health Insurance Review and Assessment (HIRA) service. Data on sedative–hypnotic prescriptions from the HIRA service of the Republic of Korea were analyzed from 2011 to 2015. We included prescriptions for subjects > 18 years of age from hospitals and community healthcare centers. In addition, subgroup analyses with a subsample restricted to prescriptions from patients with diagnostic codes F510 (nonorganic insomnia) or G470 (insomnia) were performed. After analyzing the number of prescriptions by individual pharmacy items, the prescription codes were grouped as: (1) benzodiazepines; (2) non-benzodiazepines, including zolpidem; (3) antidepressants; and (4) antipsychotics. We calculated the monthly percent change in the number of prescriptions by drug group using Joinpoint regression. Among the sedative–hypnotic groups, benzodiazepines were the most commonly prescribed drugs in Korea during the study period. As a single sedative–hypnotic item, zolpidem was the most frequently prescribed medication for patients with insomnia. Prescriptions for all groups of sedative–hypnotics increased significantly during the study period. 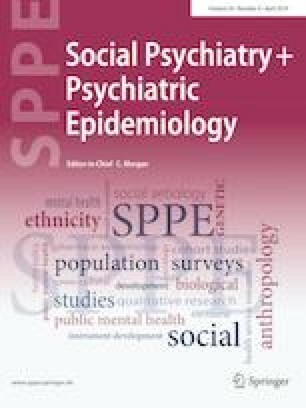 When stratified by age group, antipsychotic prescriptions increased significantly by 0.19–0.21% per month among men and women aged 50–59 years and > 70 years. Prescriptions for antidepressants in 30–39-year-old men increased significantly by 0.20%. Benzodiazepine prescriptions as well as those for antipsychotics and antidepressants to treat insomnia increased during 2011–2015 in Korea. Monitoring the use of sedative–hypnotics at the national level is necessary, especially in the elderly population. The online version of this article ( https://doi.org/10.1007/s00127-018-1615-x) contains supplementary material, which is available to authorized users. This study was supported by the research fund of the Mental Health Technology Development Project (Project No. HM15C1197). On behalf of all of the authors, the corresponding author states that there are no conflicts of interest.